Age Limit: Candidates minimum age limit is 20 years & maximum age limit is 30 years as on 01-11-2016 i.e. a candidate must have been born not earlier than 02-11-1986 & not later than 01-11-1996 (both dates inclusive). Upper age relaxation of 05 years for Scheduled Caste/Scheduled Tribe, 03 years for Other Backward Classes, 10 years for Persons With Disability candidates & Others is applicable as per rules. Educational Qualification: Candidates should possess 4 year Engineering/ Technology Degree in CSE/ IT/ ECE/ Electronics/ Electronics & Instrumentation for Post 1, 4 year Degree (graduation) in Agriculture/ Horticulture/ Animal Husbandry/ Veterinary Science/ in relevant discipline for Post 2, Post Graduation Degree in Hindi with English as a subject at the Degree (graduation) level for Post 3, Bachelor Degree in Law (LLB) & enrolled as an advocate with Bar Council for Post 4, Graduation & Full time Post Graduation degree for Post 5 & Graduation & Full time MMS (Marketing)/ MBA (Marketing)/ Full time 2 years PGDBA/ PGDBM/ PGPM/ PGDM with specialization in Marketing for Post 6. For more information refer notification. Selection Process: Candidates will be selected based on CRP SPL-VI examination & interview. Application Fee: Candidates have to pay Rs. 100/- for SC/ ST/ PWD candidates & Rs. 600/- for all others plus Bank Transaction charges for Online Payment of application fees/ intimation charges through online using Debit Cards (RuPay/ Visa/ Master Card/ Maestro), Credit Cards, Internet Banking, IMPS, Cash Cards/ Mobile Wallets. How to Apply: Eligible candidates can apply online through website www.ibps.in from 16-11-2016 to 02-12-2016. 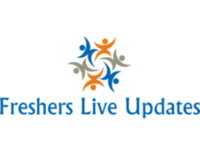 For more details like relaxation, exam patren, cutoff score, provisional allotment, instructions, examination centres, guidelines & other information click on the link given below….